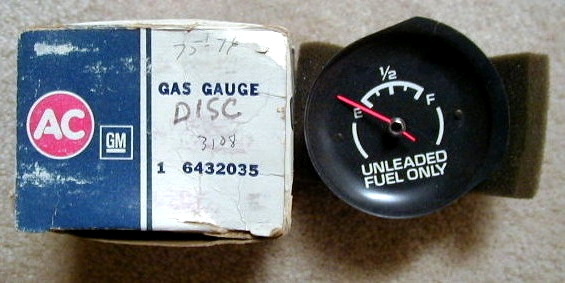 1975-1976 Corvette Fuel Dash Gas Gauge. NOS in the Original GM Box. Group 3108 part number 6432035.